The intermediate students were no less impressive in day 2 of AR and AM awards than the primary students were in day 1. Cairo students have gained a competitive spirit in the third marking period. 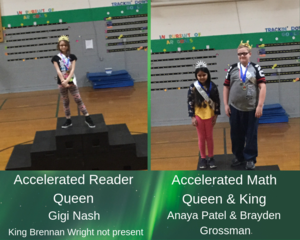 Gigi Nash was the Accelerated Reader Queen with 519% of her goal! The King, Brennan Wright, beat out Jack Dalton by 1% with a high of 261% of his goal. He was not present for the ceremony, but he will receive recognition and his awards when he is feeling better. 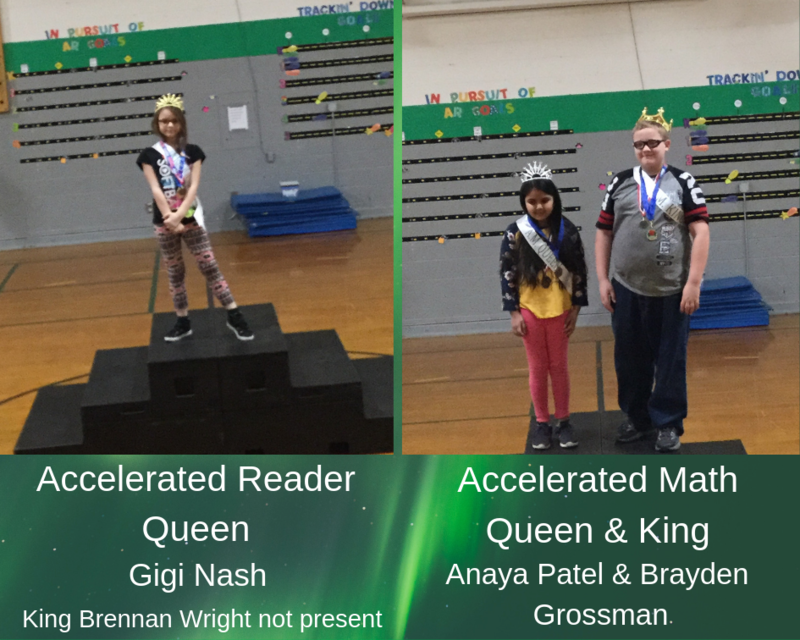 Intermediate Accelerated Math King, Brayden Grossman, earned 220% of his goal and Queen, Anya Patel, ended the marking period at 250% of hers.